Toyota, the world’s largest automaker, recently announced dealers and independent mechanics in Australia may have unknowingly installed thousands of counterfeit brake pads containing deadly asbestos in more than 500,000 vehicles. The vehicles that may contain the fake brakes pads include HiAce models (2005-2015), HiLux models (2004-2015) and commuter buses, according to News Corp Australia, which broke the story. Toyota Australia and the Australian Competition and Consumer Commission confirmed online supplier Westend Spares sold the asbestos brake pads on eBay. Officials have recalled those asbestos brake pads. Australian officials banned asbestos in 2004. Asbestos leads to mesothelioma and other deadly conditions. Brake pads that contain asbestos release deadly dust into the air every time a driver applies the brakes, placing the general public (drivers, pedestrians, mechanics and others) in danger of asbestos exposure. 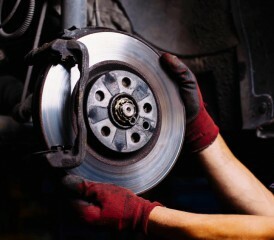 Toyota-brand brake pads do not contain asbestos, but after-market pads may contain the mineral. It’s unclear who imported the asbestos brake pads that came packaged in fake Toyota packaging. Despite Australia’s ban on asbestos, large shipments of goods illegally imported from China and containing asbestos are entering Australia. China has attempted to cut down on the use of asbestos in recent years. But the problem remains largely because many Chinese factories ignore foreign regulations. A 2012 Australian Manufacturing Workers Union investigation revealed thousands of cars containing asbestos were imported into the country. ABC News reported at the time that Great Wall Motors and Chery Automobiles recalled around 25,000 vehicles after asbestos was found in engine and exhaust gaskets. The cars had arrived in Australia with guarantees they complied with Australian standards. However, the Australian Competition and Consumer Commission’s declared the asbestos in the gaskets did not pose an immediate risk to the consumer and replacement wasn’t necessary. Production of Great Wall Motors and Chery cars has resumed. Amateur mechanics performing DIY repairs and professional mechanics are most at risk when dealing with these fake brake pads. Typically, air circulation inside body shops isn’t great, which means airborne asbestos is particularly dangerous. In the U.S., it is estimated that nearly 1 million mechanics have been exposed over several decades to asbestos dust from brake and clutch work. Using an air hose to clean brake surfaces, also known as “blowing out,” is considered one of the ways mechanics were exposed. Toyota warned its mechanics to use caution when examining any vehicles possibly serviced or repaired by mechanics outside of Toyota dealerships. The company issued a bulletin with photos showing the differences between genuine and counterfeit brake pads. The flourishing trade in Chinese imports over the past decade has also contaminated the building industry in Australia. A number of imported building products tested positive for asbestos in the past year. The latest were discovered in cement compound board in Canberra. Australian Labor Party leader Bill Shorten called for a crackdown on Chinese building products. Those importing asbestos into Australia may face fines up to $850,000.